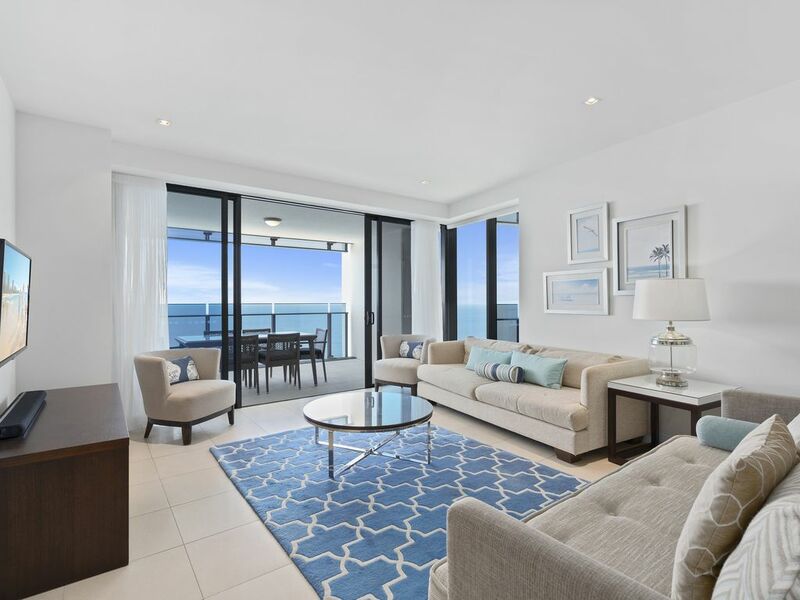 Conveniently located on the infamous Esplanade, Surfers Paradise the Souls 3 bedroom ocean view apartments offer unparalleled luxury in the heart of all the action. The resort features an outdoor swimming podium overlooking the beach; a 25 meter heated indoor pool, tropical gardens, water features & relaxation areas, a fully equipped gymnasium and much more. Situated directly across the road from the beach, our apartments enjoy uninterrupted views of the Gold Coasts finest beach and newly renovated foreshore. Soul Surfers Paradise is also home to some of the Gold Coasts top restaurants and boutique shopping, leaving you spoilt for choice. Each apartment has 3 bedrooms and two bathrooms, catering for a maximum of six guests. The apartments are furnished with designer settings giving you a luxurious resting place to retreat to after a day out exploring the beautiful Gold Coast. The apartment is fully self-contained with a full kitchen and both a washer and dryer in the laundry. ** Please note Gold Coast Luxury Resorts manage multiple rooms under this category. Images are of different rooms, each room is individually owned and furnished, floor plans, size, aspect, level all differ between each room. Located in the heart of Surfers Paradise. We had unit 5005B the unit was very clean and comfortable. The agent Holiday Holiday were excellent and always friendly on the phone and in person. We had a issue with a power point i emailed the agent and it was fixed that day. The unit had lovely ocean views and resturants etc were within close proximity. The staff on reception at the Soul were also very friendly and willing to help. Got exactly what we paid for. Couldn't ask for anything more.